Since its founding in 1988, ATTO Technology, Inc., headquartered in Amherst, New York USA, has positioned itself as a global leader in storage connectivity and infrastructure solutions for data-intensive computing environments. It is our vision to provide a wide range of end-to-end solutions to help customers better store, manage and deliver their data. Our company’s experience in engineering advanced technology into real-world product solutions provides customers with a unique competitive advantage. ATTO is committed to the design, manufacture, and delivery of high performance, flexible and reliable storage connectivity solutions in Fibre Channel, iSCSI, SAS, SATA and Thunderbolt. The ATTO ThunderLink SH 2068 acts as an external Thunderbolt to SAS/SATA adapter, connecting Thunderbolt enabled all-in-one systems and laptops to 6Gb/s SAS/SATA storage devices. The ATTO ThunderLink NS 2102 acts as an external Thunderbolt 2 to 10GbE adapter, connecting Thunderbolt enabled all-in-one systems and laptops to 10Gb/s Ethernet networks and storage devices. The ATTO ThunderLink FC 2162 acts as an external Thunderbolt 2 to Fibre Channel adapter, connecting Thunderbolt enabled all-in-one systems and laptops to 16Gb/s Fibre Channel networks and storage devices. 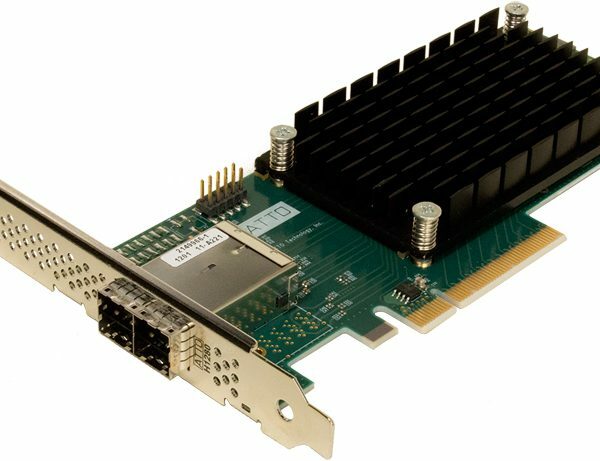 ATTO's FastFrame NT12 10GBASE-T NIC offers speeds 47% faster than Fibre Channel with the structured Ethernet wiring familiar to networking professionals. FastFrame NT11 10GBASE-T NIC offers speeds 47% faster than Fibre Channel with the structured Ethernet wiring and patch panels familiar to networking professionals. 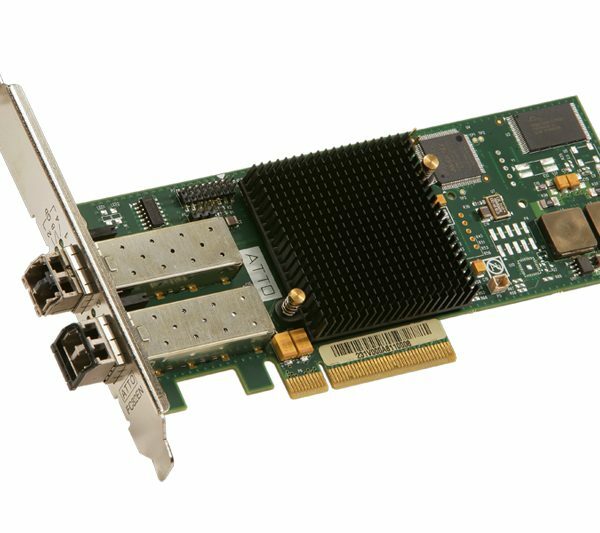 FastFrame NS14 Quad-port SFP+ Ethernet Adapter conserves PCI slots for more flexible system design, while drawing up to 60% less power than competing solutions. 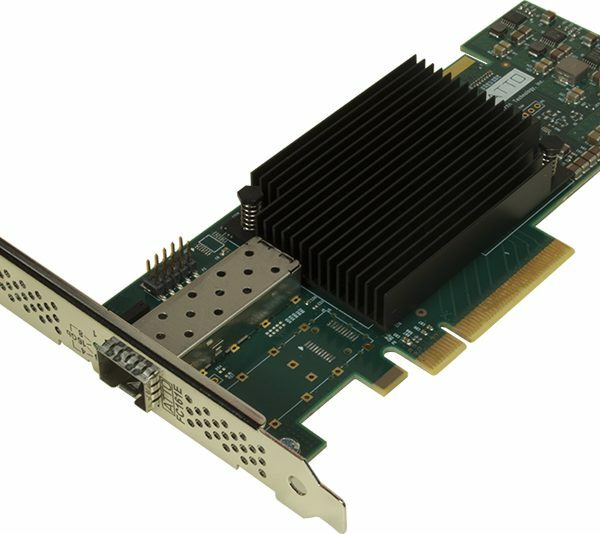 FastFrame NS12 dual-port SFP+ Ethernet Adapter conserves PCI slots for more flexible system design, while drawing up to 60% less power than competing solutions. 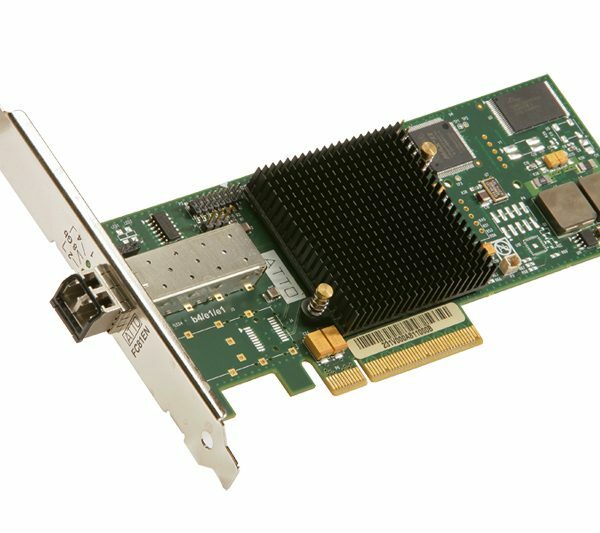 FastFrame NS11 single-port SFP+ Ethernet Adapter conserves PCI slots for more flexible system design, while drawing up to 60% less power than competing solutions. 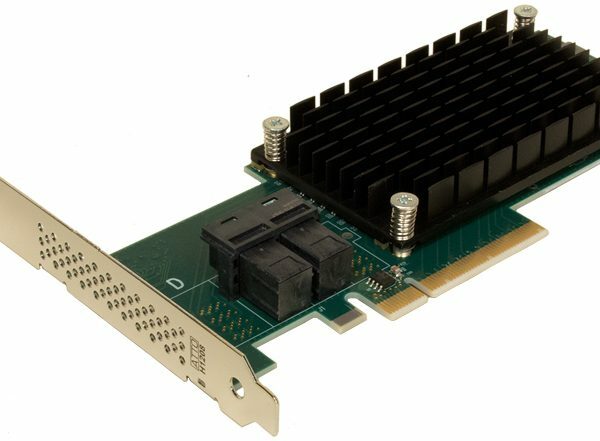 The ExpressSAS H12F0 leverages two next-generation storage technologies - PCIe 3.0 host interconnect and a 12Gb/s SAS/SATA interface to storage. 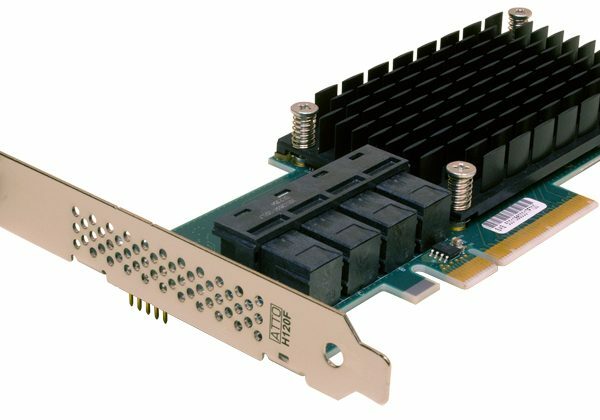 The ExpressSAS H1280 leverages next-generation storage technologies - PCIe 3.0 host interconnect and 12Gb/s SAS/SATA interface to storage. 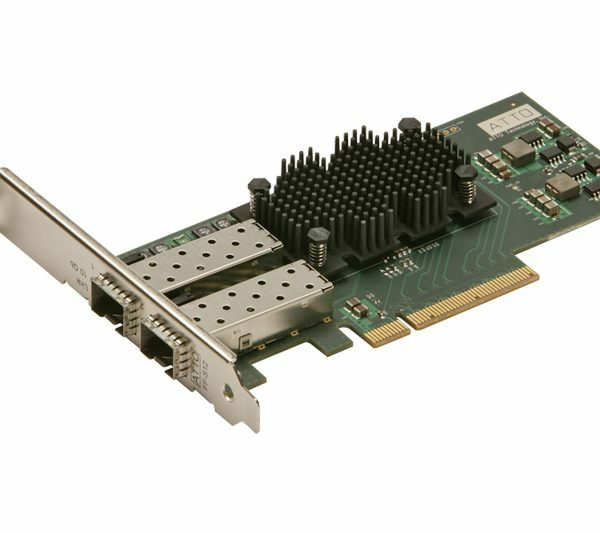 The ExpressSAS H1248 leverages next-generation storage technologies - PCIe 3.0 host interconnect and 12Gb/s SAS/SATA interface to storage. 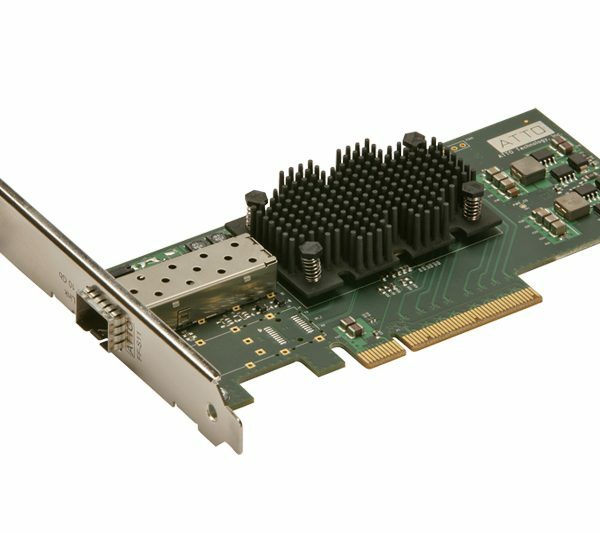 The ExpressSAS H1244 leverages next-generation storage technologies - PCIe 3.0 host interconnect and 12Gb/s SAS/SATA interface to storage. 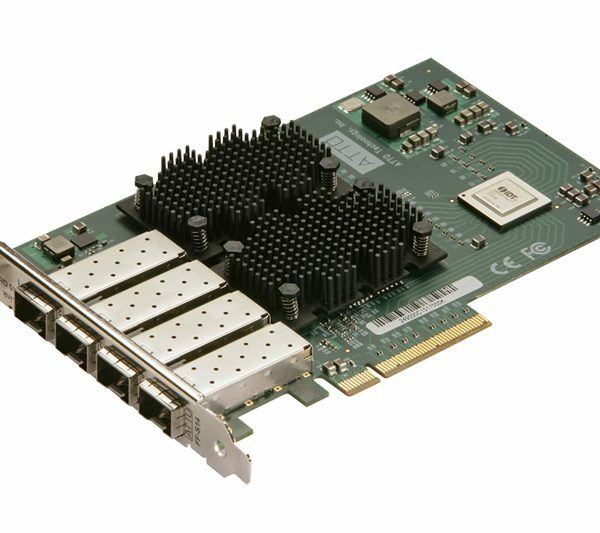 The ExpressSAS H1208 leverages next-generation storage technologies - PCIe 3.0 host interconnect and 12Gb/s SAS/SATA interface to storage. 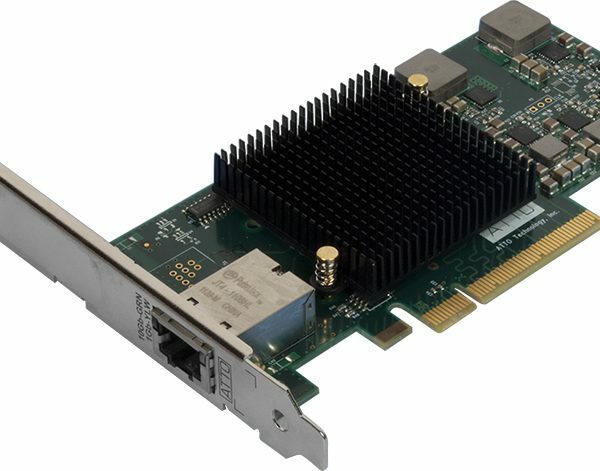 The ATTO Celerity FC-84E provides an advanced storage connectivity solution with high performance, intelligence and scalability. 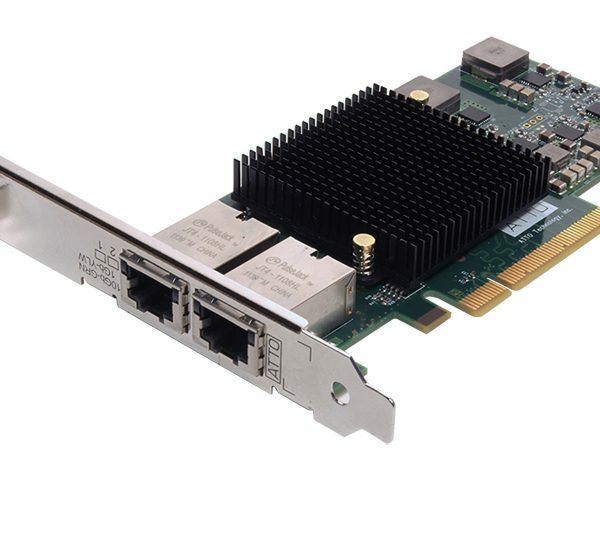 The ATTO Celerity FC-82E provides an advanced storage connectivity solution with high performance, intelligence and scalability. 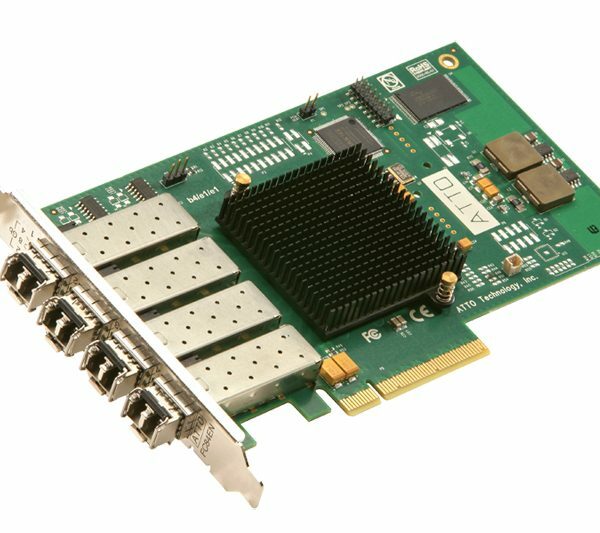 The ATTO Celerity FC-81E provides an advanced storage connectivity solution with high performance, intelligence and scalability. 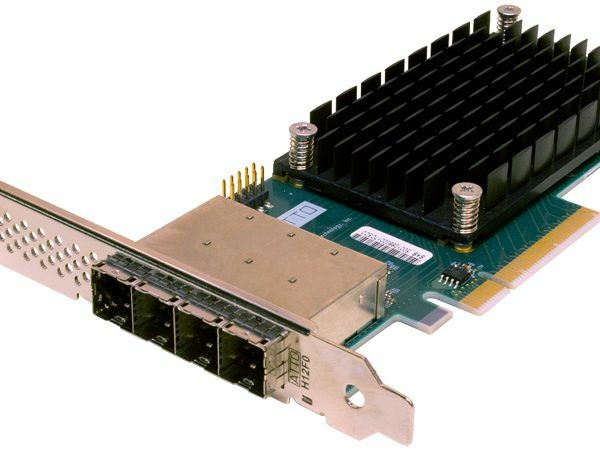 The ATTO Celerity FC-162E leverages two next-generation storage technologies – PCIe 3.0 interconnect and 16-Gigabit Fibre Channel to provide an advanced storage connectivity solution with high performance, intelligence and scalability. 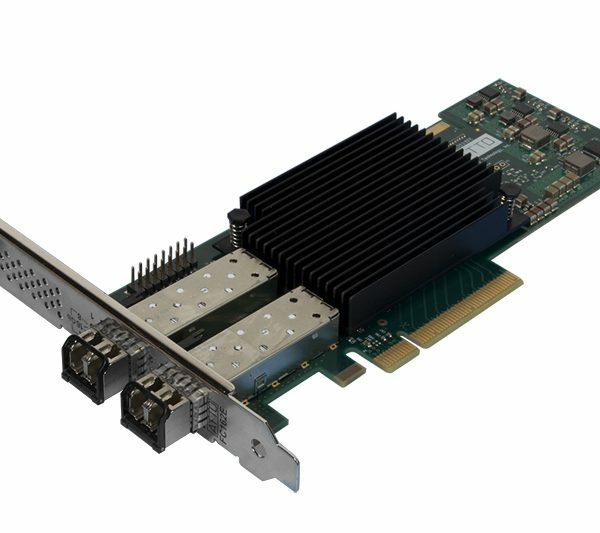 The ATTO Celerity FC-161E leverages two next-generation storage technologies – PCIe 3.0 interconnect and 16-Gigabit Fibre Channel to provide an advanced storage connectivity solution with high performance, intelligence and scalability.